Money can't buy happiness! But it can buy the Audio Note Kegon Balanced. 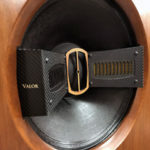 Many will approach this review with an expectation that these amps will, of necessity, sound like a classic 300B single-ended triode design, in other words, will present with a harmonically rich midrange and upper bass but suffer from serious flaws at the frequency extremes. 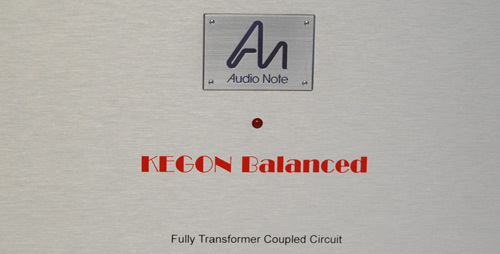 This would, however, involve a substantial underestimation of the capabilities of the Kegon Balanced monoblock amplifiers by Audio Note UK. While the KB begins as a classic 300B design, they incorporate a significant amount of modern designs, including the use of very robust driver tubes rather than the typical 6SN7, silver wire wound interstage transformers for coupling, and a very stiff, over-sized tube regulated power supply. 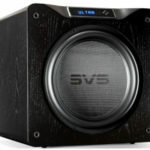 These updates extend the decay of notes, particularly on struck instruments, improve top-end extension, increase the weightiness of the bass, accelerate dynamics, and allow the KB to exert surprising control over even difficult dynamic woofers in acoustic suspension enclosures. In many ways, these amps bear more resemblance to the most sophisticated transistor amp designs rather than to a classic single-ended tube amplifier, but somehow maintain the tonality, harmonics, three-dimensionality, image density, air around instruments and texture that direct-heated single-ended triodes do so well. All Audio Note UK designs are based on certain common principles: simplicity, meticulous execution, optimization of existing technology, and an understanding of the manner in which various elements of the design interact. AN employs “the shortest signal path that will yield gain at the right impedance in each stage to drive whatever component or speaker comes next in line in the system”, coupled with the best parts they can buy or, if necessary, build. The circuit employed in the KB has only two stages of gain. The input, which is transformer coupled, is followed by a directly heated triode driver stage designed around the Western Electric VT 25/10Y, coupled to an output stage with a 1:1 driver transformer and a paralleled pair of 300B directly heated output triodes. The output triodes are then coupled to a large double C-core output transformer with a single secondary. This effectively eliminates any capacitors in the signal path and reduces the number of passive parts in the signal path to two tantalum 2-watt resistors. 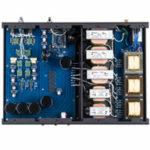 The power supply again adheres to the same principles with a valve rectified (5U4G), choke coupled design that utilizes Black Gate capacitors. 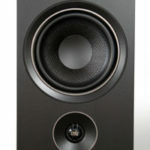 Choice of the core material and transformer design has an enormous impact on the sound. Thus, given that the use of transformers is absolutely key to the design, AN spent almost six years researching and developing the necessary materials, technological know-how and design expertise to make their own. In the end, AN selected Perma 50% nickel Hi-B Radio metal as the core material, Audio Note 99.99% silver wire for the windings and an oversized double C-core design for the output transformer. 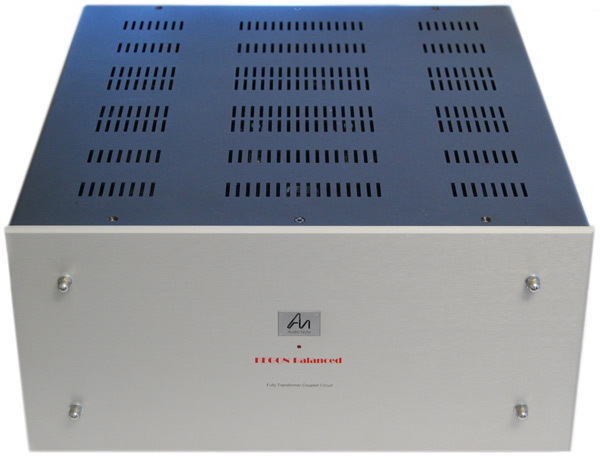 C-core Radio metal transformers are able to sustain 30% higher voltage than IE core transformers at identical windings which results in a 70% increase in power. In addition, the transformers are significantly oversized to guarantee the ability of the amps to deliver large amounts of current to the load. Another related design concern was transformer bandwidth or, more accurately, trading off extension at one frequency extreme for loss of extension at the other. AN has, by careful design, been able to achieve a bandwidth of 5-200K Hz. All transformers are designed, modeled, prototyped and wound in-house at the AN factory in Hove in the U.K. All connections in the signal path are point-to-point using AN-Vx silver wire. This combination results in an amp which is capable of passing enormous dynamic swings while maintaining linearity throughout the entire dynamic envelope, as well as separation and authenticity of timbre. AN has also done significant research on the effect of passive parts on the sound, particularly that of resistors and capacitors and their effect on the relationship between frequency and amplitude. As a result of that research, they have chosen to eliminate capacitors from the signal path and to limit the type and number of resistors. The care that goes into every element of circuit design, component selection and assembly of the finished product far exceeds anything available from most other electronics manufacturers, and is more akin to the attention to detail that goes into the construction of a fine German racing car. I never understood why AN put the Kegon Balanced and I believe Kageki Balanced too in a unattractive cube box instead of using something more like the Gaku-On box.